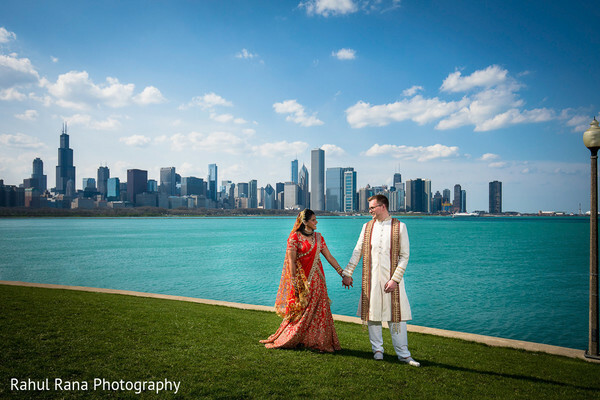 The iconic skyline and most ravishing urban spots of Chicago provided the best backdrop for the talented Rahul Rana Photography, could capture the best poses of Hajerah and Kyle. 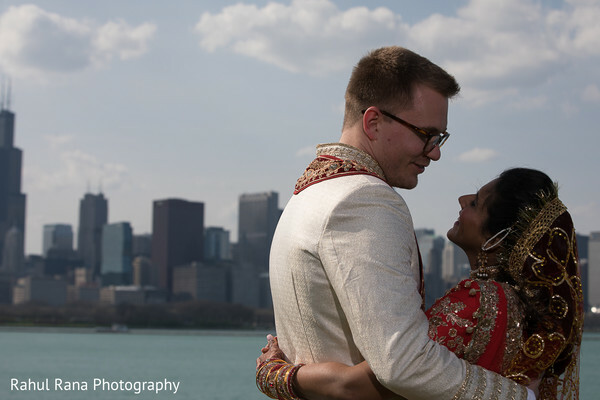 To move through the city in style Windy City Limousine & Bus delivered their excellent transportation service and made the couple shine traveling in style on their wedding day! 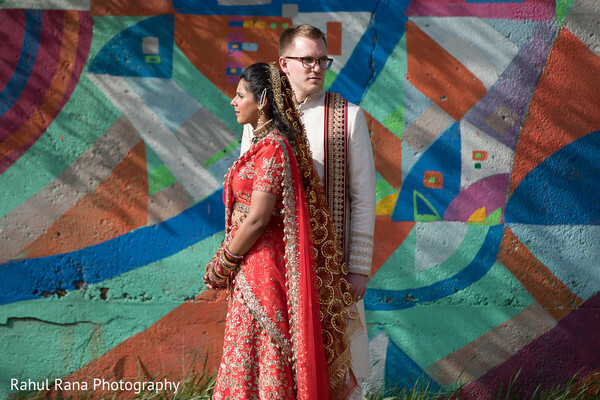 The love struck couple looked radiant for the camera. 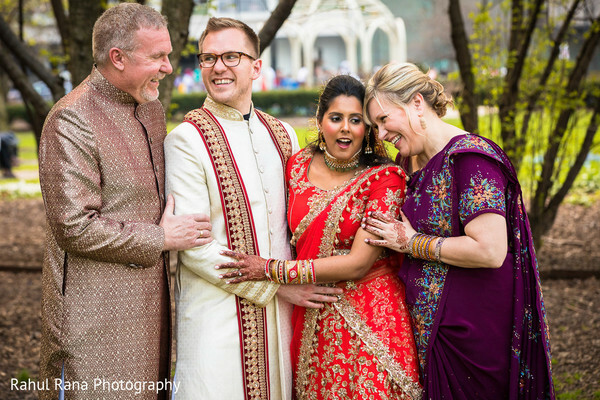 Kyle showed off his new groom Indian style and chose a pristine white Sherwani that he opted to pair with an elaborate embroidered red scarf. 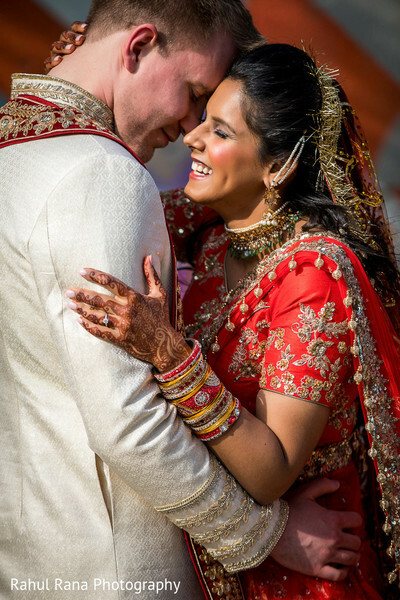 Excellent choice as this trousseau gave him the perfect Raja look for his stellar moment. 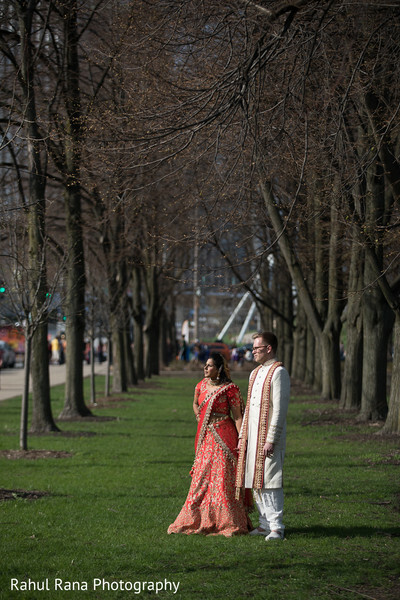 Drish Couture granted all their expertise knowledge and planned the Chicago’s most enchanting wedding and ensure the day ran smoothly and without any delays! 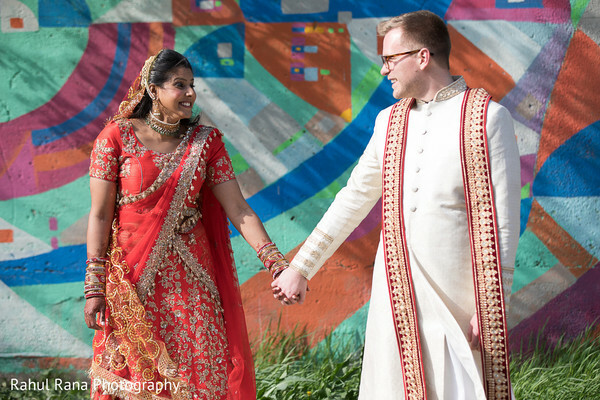 After tons of snaps these two were ready to celebrate at The Drake Hotel! 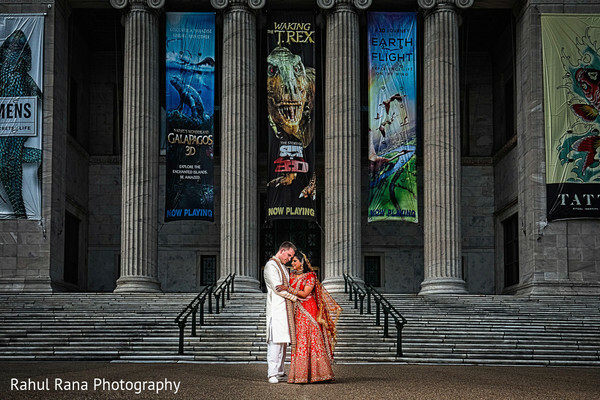 Check more of today’s picture perfect couple our full gallery! 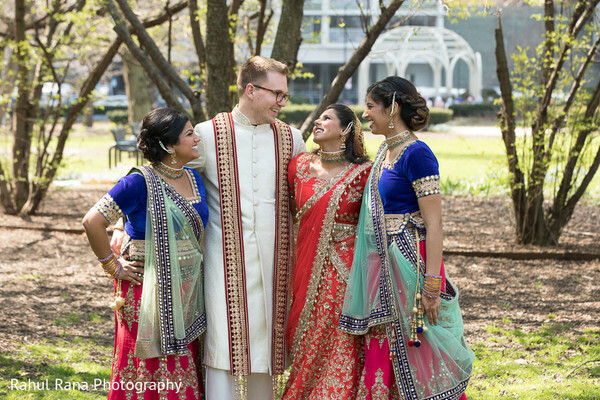 Ladies, don’t miss the timeless celebration in our following post!